April 20….Sesame Street Live - No matter where you’re from or where you’ve been, everyone is special – so join in! Elmo, Grover, Abby Cadabby, and their Sesame Street friends welcome Chamki, Grover’s friend from India, to Sesame Street. Together, they explore the universal fun of friendship and celebrate cultural similarities, from singing and dancing, to sharing cookies! Join the fun and make a memory with your friends and family! Sesame Street Live returns to United Supermarkets Arena with “Elmo Makes Music!” When the new music teacher’s instruments go missing, Elmo, Abby Cadabby, Big Bird, and more come to the rescue and discover instruments they never knew existed. Children learn that everyone can make and enjoy beautiful music together! Tickets are on sale at Select-a-Seat, www.selectaseatlubbock.com, by calling 806-770-2000 and at all Lubbock area Select-a-Seat outlets. United Supermarkets Arena,1701 Indiana Ave; 10:30 a.m. and 6:30 p.m.
April 21….Presidential Lecture & Performance Series Presents: Momix - Opus Cactus is a dynamic journey into the hidden landscape of the American Southwest. With a sense of danger, sensuality and humor, the desert world of soaring cactuses, slithering lizards, snakes and frolicking insects all come to life once uncovered through the magic of MOMIX. 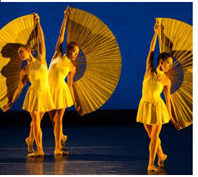 MOMIX’s Artistic Director, Moses Pendleton, is one of America’s most innovative and widely performed choreographers and directors. In 1981 Pendleton created MOMIX which has been celebrated for its ability to conjure up a world of surrealistic images using props, light, shadow, humor and the human body. The troupe tours internationally, with a repertoire of 7 full-length shows, and is currently celebrating 35 years of awe-inspiring work. To reserve tickets call Select A Seat at 806-770-2000. 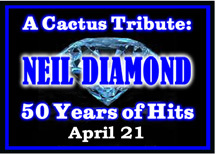 Texas Tech Allen Theatre, TTU Campus; 7 p.m.
April 21….A Cactus Tribute to Neil Diamond: 50 Years of Hits - One of the most successful solo music careers of all-time - was launched in 1966 with the release of the Neil Diamond song "Solitary Man". Prior to that, his career had centered around writing songs that became hits for others...including "I'm A Believer" for The Monkees. But soon, hits like "Cherry Cherry", "Kentucky Woman" and "Thank the Lord For the Night Time" followed. Through five decades now, Neil Diamond has solidified his place in history as one of the most beloved artists of all time....selling well over 100 million albums and continuing to sell out arenas coast to coast. His songs "America" and "Sweet Caroline" are instantly recognizable and have become anthems in their own right. Join the Cactus as we present our tribute to one of the most popular and enduring artists as we present our tribute to the one and only Neil Diamond in this encore presentation. 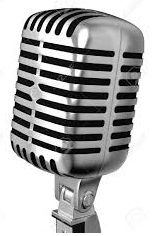 You'll hear his greatest hits...songs like "I Am...I Said", "Song Sung Blue", "Crunchy Granola Suite" and many more. 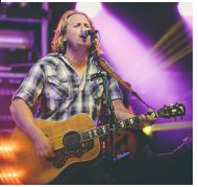 Vocalists include Kenny Maines, Jason Fellers, Craig Elliott, Jeff Bailey and Amber Pennington. Reserved floor seats $20; standard balcony $15. Purchase tickets by visiting cactustheater.com or call 762-3233. Cactus Theater, 1812 Buddy Holly. Doors at 7 p.m.; show at 7:30. April 21 - 23….Moonlight Broadway Presents: “Peter Pan” – The final production of the 2016-17 Moonlight Broadway season, is proud to present the beloved fantasy, Peter Pan! Peter Pan will delight children and adults alike as it soars into the Lubbock Memorial Civic Center Theatre this April! Bring your family and come fly away with us to Neverland for a swashbuckling epic that delivers non-stop action, spell binding music, and stunning choreography! ! Written in 1904 as a play and soon adapted into a novel by the original author, J.M. Barrie of England, Peter Pan has gone through many transformations, including a silent film version in 1924, Disney’s animated version in 1953, the stage musical in 1954, and many adventures featuring one or more of the primary characters. The story of Peter Pan centers around a young boy, named Peter, who lives in Neverland, a place where time halts and people never grow older. Periodically, Peter journeys to London and gazes through windows and into the life he’s missing. His favorite view is that which belongs to the nursery of the three Darling children, Wendy, John, and Michael. One particular night, Wendy and Peter meet and he convinces her and her brothers to fly back with him to Neverland, where they meet with many adventures involving indians, other Lost Boys who claim Wendy as their mother, and a band of pirates led by the infamous Captain Hook. For tickets call Select-A-Seat at 806-770-2000. For additional info visit LubbockMoonlightMusicals.org/Upcoming-Shows/. Lubbock Memorial Civic Center Theatre, 1501 Mac Davis Lane; Times: Friday, April 14: 7:30 p.m. Saturday, April 15: 2 p.m. and 7:30 p.m. Friday, April 21: 7:30 p.m. Saturday, April 22: 7:30 p.m. Sunday, April 23: 2 p.m.
April 22….Walk for Wishes - Join us for the 3rd Annual Walk For Wishes benefitting Make-A-Wish North Texas. The special Wishes requested by children come in all shapes and sizes. The average cost of a Wish is approximately $9,000. Your support for Walk For Wishes 2017 will provide children in the Lubbock area with hope for better times, strength for the tough times and the joy of experiencing their wish in the present moment. This walk / run is a family-friendly, Lubbock community event sponsored by the Texas Tech WishMakers on Campus chapter. With your help, the WishMakers are able to grant wishes to area children battling life-threatening medical conditions. Fun activities such as live DJ music, BBQ provided by The Shack, face painting, an inflatable obstacle course and raffle prizes will be enjoyed throughout the event. If you are unable to attend the event, any freewill donation is appreciated. For more information about 2017 Walk For Wishes Sponsorship Opportunities, please contact: Claire Williams, President at 940.634.2386 or claire9williams@gmail.com. Buddy Holly Recreation Area, 600 N University Ave; 10 a.m. – 2 p.m.
April 22....The Roundtable presents: Whitney Owen, The Bridge "The Bridge 2 Hope" - Regardless of where we are in our lives or what we do, it is NEVER too late to dream.- Our luncheons are held at Hillcrest Country Club 4011 N Boston Ave, Lubbock. North on University past State Living Facility to Newcomb, left for about 4 blocks and you will come to the entrance of the Hillcrest Country Club at Boston and Newcomb. Meeting format: People arrive about 11 a.m. to start registering, pay for lunch and some socializing. Food service starts at 11:15 followed by introductions and announcements at 11:30.The speaker will start about11:50 and be finished with the program and questions from the audience by 1 p.m. The public is invited. Lunch/attendance is fifteen dollars ($15) per person. Limited menu includes beverage and dessert. There are no membership fees or dues associated with attending the functions. Any extra monies that you would like to contribute will go towards the speakers lunch and towards our Honors College Scholarship fund at Tech. Our Saturday luncheons are a great way to (1) learn more about current global/US/Texas/Lubbock issues and events, (2) meet other people in area who may become lifetime friends (3) feel more at home in Lubbock. Most wear business or business-casual attire. No RSVP is necessary. Show up whenever your schedule allows, feel free to bring a guest(s) and email this invitation to anyone you think might be interested. For more information email Marie Evans at this address: mevans1398@aol.com. 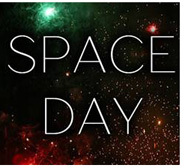 April 22…Science Spectrum Space Day - The public is invited to participate in exciting free hands-on Space Science activities in celebration of Space Day! Space Day activities will be located in the lobby of the Science Spectrum and will include activities not only about Space, but science, math, engineering and technology. Those visiting the Science Spectrum will be able to participate in various “Space Science” hands-on activities, see live Space Demonstrations, attend SpaceBubble planetarium shows, and even learn how Astronauts live, work, and eat in space! Space Day 2017 will feature special guest speaker Arthur Puccetti, retired NASA Mission Control Director for 10 unmanned missions and the Apollo 8, 10 and 12 manned missions as well as a Mission Manager for 14 Space Shuttle missions. Mr. Puccetti is a retired Aerospace Engineer with over 40 years of private corporate and NASA experience. Mr. Puccetti will give a free 45 minute presentation with Q&A from his experiences working at NASA in the OMNI Theater at 12:00 noon. This special presentation will be immediately followed by a special screening of the film "The Search For Life in Space", in the OMNI Theater at 1:00 pm. Standard ticket rates for OMNI films will apply to this screening. Space Day celebrates the extraordinary achievements, benefits and opportunities of Space exploration and the practical application of experimentation conducted in Space. The ultimate goal of Space Day is to promote math, science, technology and engineering education by nurturing people’s enthusiasm for the wonders of the universe and inspiring them to continue the stellar work of today's space explorers. *Free Space Day activities will be located in the lobby. Science Spectrum Museum & OMNI Theater, 2579 S. Loop 289; 11 a.m. to 3 p.m.
April 22….The Mexican Muralists with Christian Conrad - Saturday Lectures at LHUCA is an informal conversation over the life and work of contemporary artists. It’s a stress-free opportunity to examine the art and ideas that underlie much of the modern art world. Attendees are encouraged to ask questions and join the conversation. This event is free to the public. Join us for coffee and donuts! LHUCA, 511 Avenue K; 11:30 a.m.- 1 p.m.
April 22….Quailapalooza Junior Rough Riders Corral - Children ages 5 to 12 have a hands-on opportunity to see and learn about Northern Bobwhite Quail and understand the science behind this treasured rangeland creature. RSVP to shelby.schwartz@ttu.edu or 806-834-1225. Cost: Free to RHA members, $5 for non-members. National Ranching Heritage Center 3121 4th Street. ; 1 – 3 p.m.
April 22….Stand Up For Science Rally and Health Fair – Special guest speakers will include Professors Melanie Barnes, Yehia Mechref, Lisa Gittner and Robert Forbis of Texas Tech University. There will be live music, fun and informative tables from local health and science organizations and interactive activities for all. Keynote speaker will be Ron Roberts of KAMC 28. Louise Hopkins Underwood Center for the Arts, 511 Avenue K; 1 -3 p.m.
April 22….Melanie Park South Open House – The public is invited to join this fun Melonie Park South neighborhood event at their newly remodeled clubhouse! Have a turn in a Bubble ball (adults and kids! ), eat cookies, see the clubhouse, watch a kite demonstration (and purchase one of your own if you want! ), face painting, sign up for swim lessons and swim team, pool memberships (available for non-neighborhood folks! ), meet the board and pool staff...AND have a great time with your family! Melanie Park South Clubhouse, 3502- 74th Street; 2 - 4 p.m.
April 22….William Clark Green Street Party - William Clark Green returns home to The Blue Light Live with friends Flatland Cavalry, Koe Wetzel and Kaitlin Butts. Each of these artists has been known to pack the indoor venue, so The Blue Light is taking things outside. Buddy Holly Avenue will be packed from 18th Street to 19th Street for a night of great music. The Cactus Theater will have its streetside cantina open for the public as well. The Blue Light Live, 1806 Buddy Holly Ave: 7 p.m.
April 22-23….39th Annual Lubbock Arts Festival - This is the largest fine art, fine craft event in West Texas. This year’s theme is “ A Tribute to Fairy Tales.” The event offers visual art, performing art and children’s art for the very affordable price of $4 for adults while children 12 and under are admitted free with an adult. The visual art division of the Lubbock Arts Festival includes 150 artists from around the nation in booths displaying and selling original work in the mediums of painting, drawing, pottery, fiber, jewelry, glass, wood and sculpture. Singers, musicians, dancers and actors will perform throughout the weekend on different stages. Audiences can enjoy such diverse offerings as brass bands, storytellers, string quartets and ballet folkloric dancers. A special featured guest at this year's event is Moon Mermaid - who first surfaced in 2003 where she began entertaining and performing for humans as one of the worlds first solo performing mermaids. Since then Moon has been spotted traveling all over the country entertaining, has been featured in countless magazines, books, on television, even seen in movies! Moon provides swimming mermaid entertainment in her mystical 28 foot mermaid lagoon, enchanting themed props, the largest traveling mermaid tank in the world at 40-ft long and more! Children can also explore the Lubbock Arts Festival as they go from “Kid Stop” to “Kid Stop” to make art projects, participate in theatre improvisation, and watch artists demonstrating with clay and watercolor. For general information and info on ticketed events contact the Lubbock Arts Alliance at 806-744-2787. Tickets available at Select-A-Seat at (806) 770-2000. Lubbock Memorial Civic Center, 1501 Mac Davis Lane; Saturday: 10 a.m.- 7 p.m. and Sunday: 12 – 5 p.m.
For this contest, 1 winner will receive a general admission Family 4-pack to the 39th Annual Lubbock Arts Festival this weekend. To win these tickets, correctly answer the trivia question below and email it to us at info@lubbockfunclub.com using the fun phrase "Mesmerized by Mermaids" as your subject title. The Question: Prior to winning Academy Awards for both "Best Song" and "Best Musical Score", the 1989 film "The Little Mermaid" was the first Disney film to be nominated for such an Oscar since which other film? The deadline for this contest is Friday at 10 a.m. and the winner will be contacted shortly thereafter. Please provide a DAYTIME phone number where we may contact you quickly and easily if you are the winner.